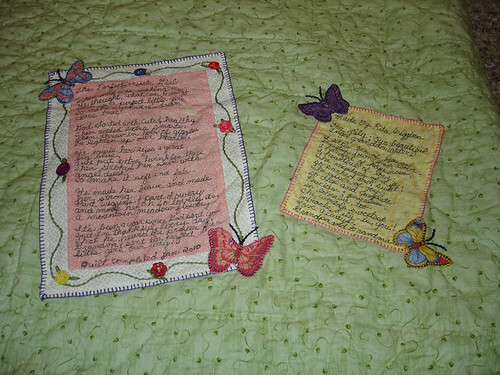 These two poems are on the back of Lily’s special quilt. 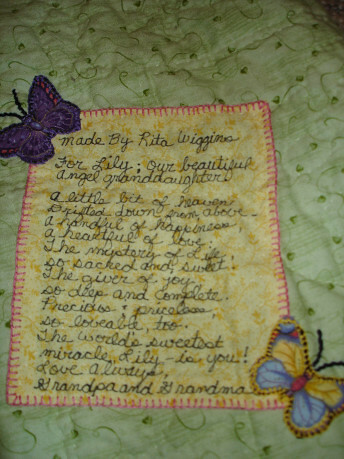 This is one of the things my Mother-in-law is known for. 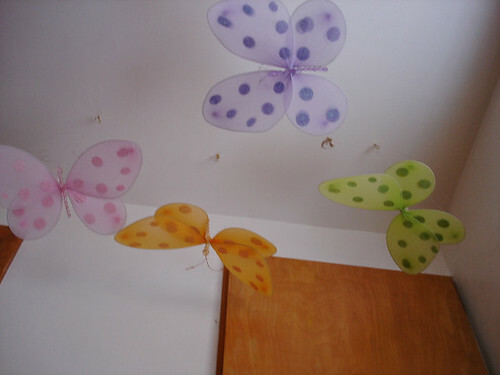 We thought it was really neat that she put 4 butterflies surrounding the poems as my Aunt sent Lily four butterflies for Christmas and we had just hung them above her pack and play. 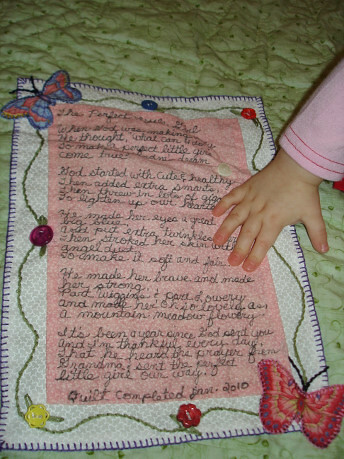 This entry was posted in Lily and tagged Lil, quilt.